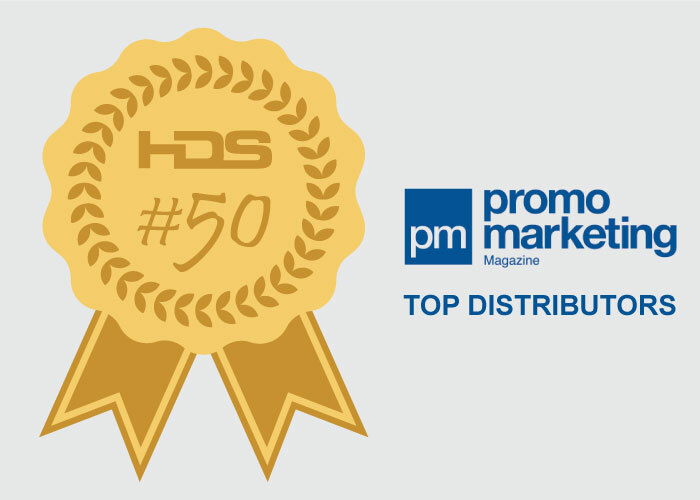 Promo Marketing, the Philadelphia-based source of product and marketing information for distributor sales professionals, announced that HDS is one of their Top 50 Distributors of 2016. For more than 10 years, Promo Marketing has assessed the most successful promotional products distributors. The Top 50 Distributors list features the biggest companies working today, ranked by 2015 sales volume. “This year’s Top 50 Distributors had total promotional products sales of over $4.5 billion—a nearly 8 percent increase over last year,” Kyle A. Richardson, editorial director for Promo Marketing, said. “That is as sure a sign as any that strength of the promotional products industry is growing, and that these truly are the top distributors in the game today.” HDS’s rank was number 50.